3x Champ, Sold! Champion Peruvian MRG!! 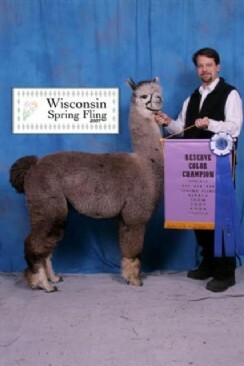 Titan is a third generation Classic Peruvian Grey Champion Male. He is a medium rose grey with a cast of lavender with great conformation, bite and disposition. 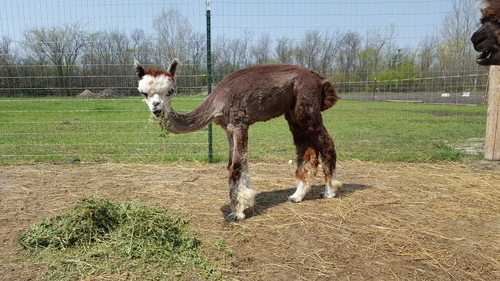 His fleece is dense with incredible softness and handle. Titan's sire is Shades of Gray and grand sire is Silverado. His Dam is MA Selasia, a beautiful Black Full Peruvian. His grand Dam is MA Selena whom is also a true black. 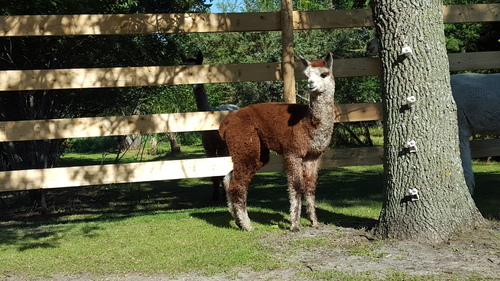 Healthy male out of Polonez Peruvian Barcelona and by FRA Peruvian Titan, a champion medium rose grey sire. 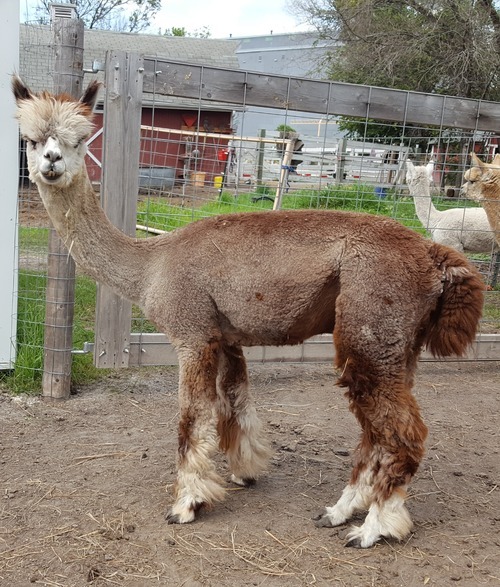 Homer's fleece is amazing! He has such a beautiful deep dark rose grey. 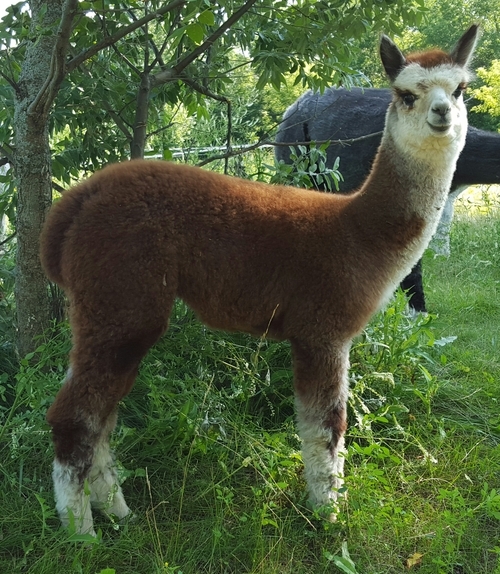 The fleece is so fine it makes some of the other alpacas jealous! 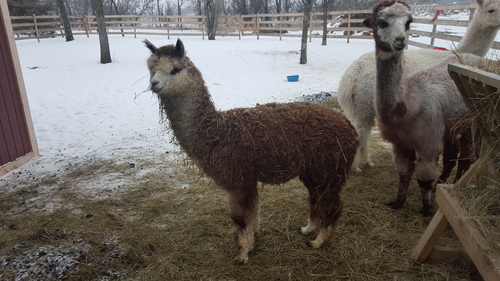 Homer experienced a paddock accident in July 2015 and fractured he right hind leg. He was on stall rest with quite the splint for 2 months. In one of his vet appointments during treatment it was found the fracture healed wrong, but it had to much calcification to fix at that time. 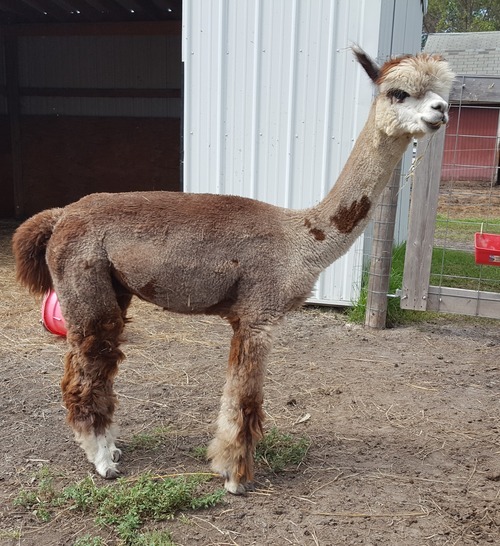 So, Homer will have a permanent gait change and an odd angle to that leg. He gets around good now and still loves to run and play with the other boys. He gets along great with his current herd and doesn't show any discomfort for any normal activities. Homer is for sale to the right home. Reasonable offers considered.